Protesters gather outside the prime minister’s office in Amman, Jordan, June 6, 2018 (AP photo by Raad al-Adayleh). When people take to the streets to protest high prices and tax increases, their message doesn’t usually resonate beyond their country’s borders. 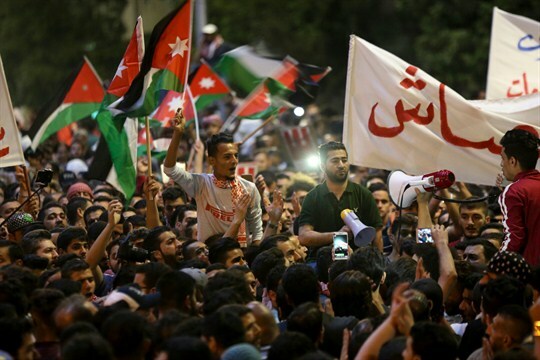 But when the protests erupt in a country like Jordan, in the heart of the Middle East, they are an uncomfortable reminder to the region, and the world, of the kingdom’s vulnerability and its importance in preserving regional stability.